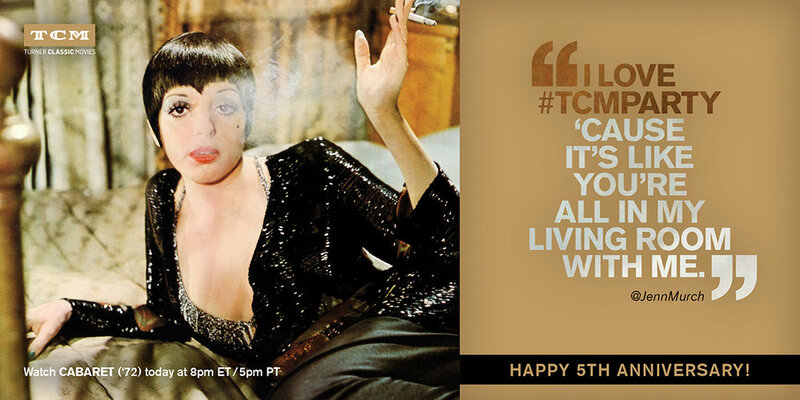 Like most classic film fans on Twitter, I stumbled upon the #TCMParty community quite by accident. I was watching Easter Parade on Turner Classic Movies one day back in 2014 while working on a social media project. 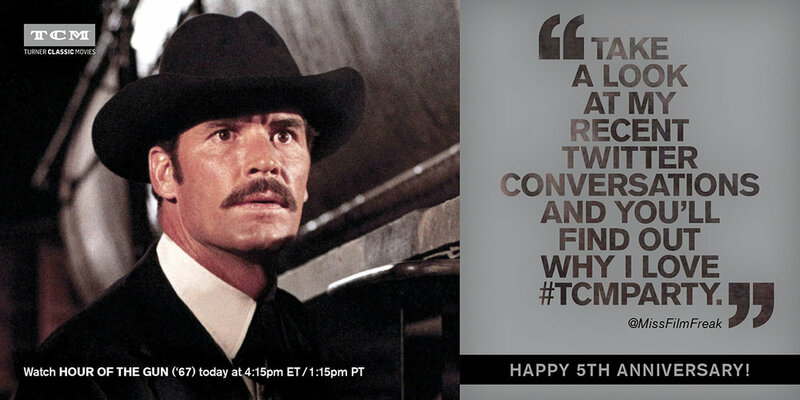 All of a sudden, I noticed some people I followed were posting about the film and using the hashtag #TCMParty. 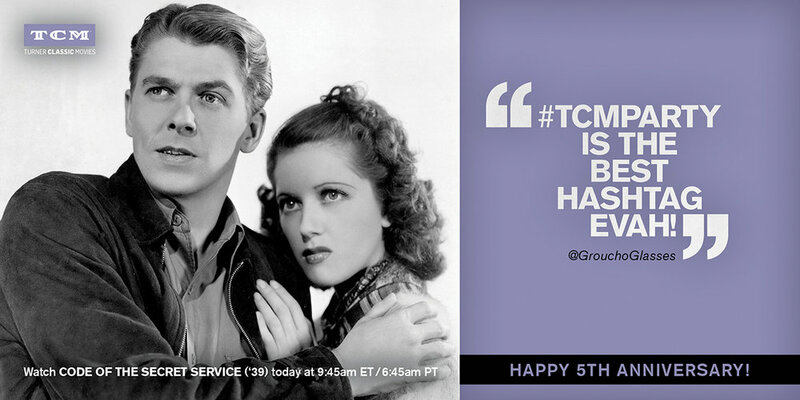 I immediately began following the hashtag on Twitter and was amazed at the large community of fellow TCM fans that I discovered. 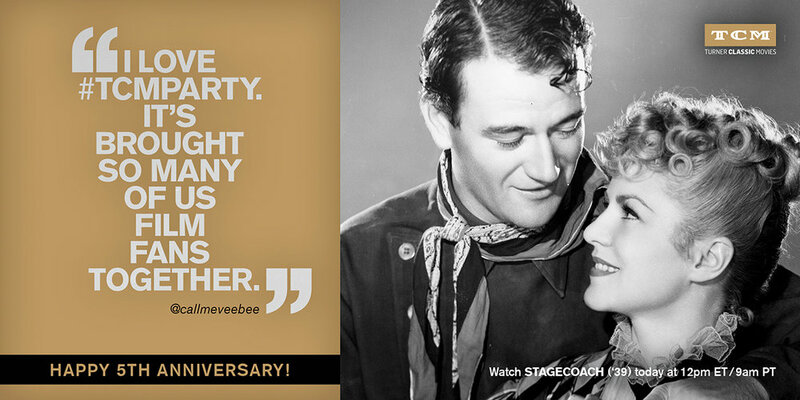 After spending a year as a casual #TCMParty observer, I finally decided to start sharing some special content with the community in mid-2015. From that point to now, I have posted original design and illustration series focused on a broad range of TCM's different programming blocks. 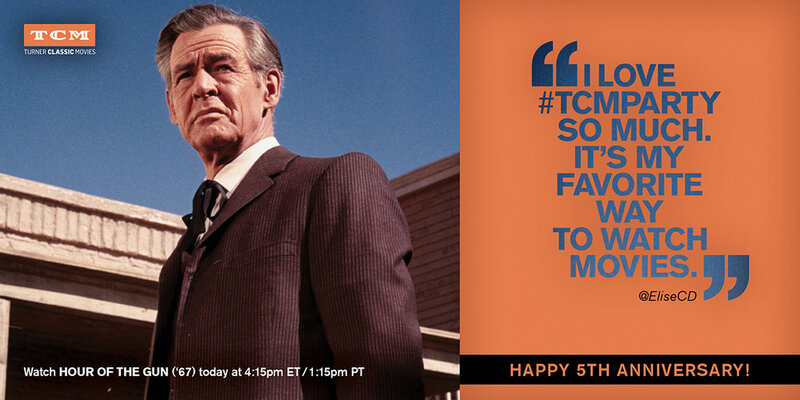 I was incredibly honored to be asked by Turner Classic Movies in early 2016 to design a social media campaign celebrating the fifth anniversary of #TCMParty. 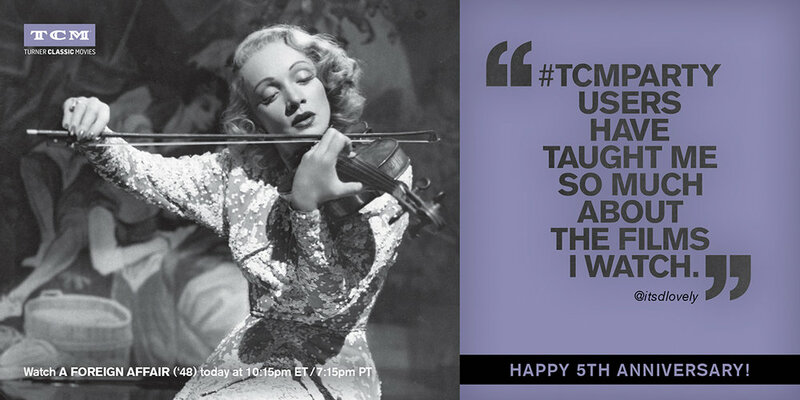 After proposing a set of initial options, the TCM social media team selected a concept that highlighted the words of actually #TCMParty participants. The individual designs in this series illustrated a single moment from the film's airing on #TCMParty's anniversary date of September 3, 2016. The images I selected evoked a sense of mood and atmosphere. 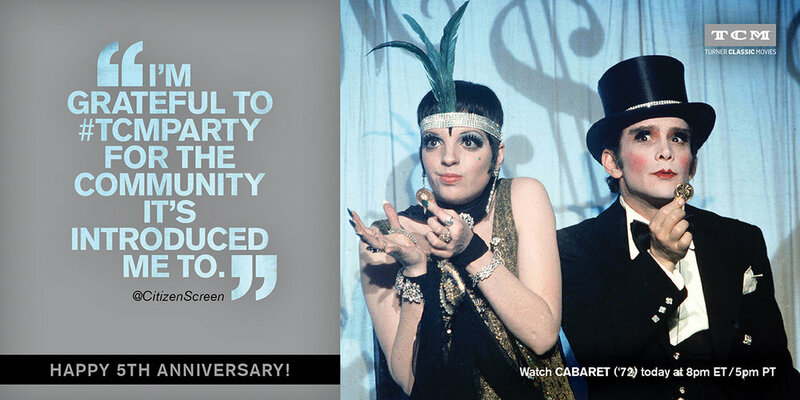 I paired this photography with a quotation from an actual #TCMParty contributor that expressed why they enjoy or love the community. I set the typography in block text and punched out the lettering to expose more of the imagery underneath. For the accent colors, I chose shades from the TCM brand palette that blended with colors from the selected film scene. 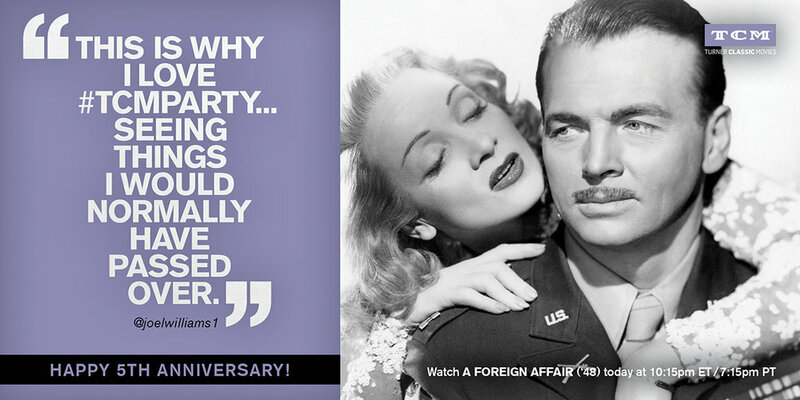 In case you missed any of my #TCMParty anniversary posts on Twitter, you can see the entire series in the gallery below. To view my past #TCMParty design series, you can look on my Twitter page or read through some of the project recaps on my blog. 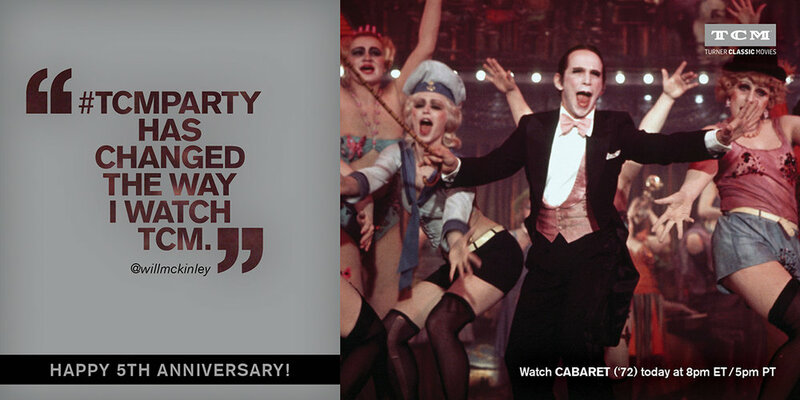 To TCM and the #TCMParty community, I would like to say a huge "thank you" for all of the likes and retweets of my 2016 #TCMParty anniversary series. I am so grateful for your continued support of my work! Check out more of my designs under the "Work" tab of my website, follow me on Twitter at @LoraStocker, or email me at stockerdesigns@gmail.com.